You are here: Home > Happy Holidays from the Institute! 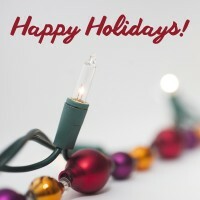 Happy holidays from everyone here at the Australian Institute of Social Relations! As the year draws to a close, we’d like to remind you of our office hours over the end of year break. Our offices will be closed from 3pm Friday 22 December 2017 and reopen 9am Tuesday 2 January 2018.